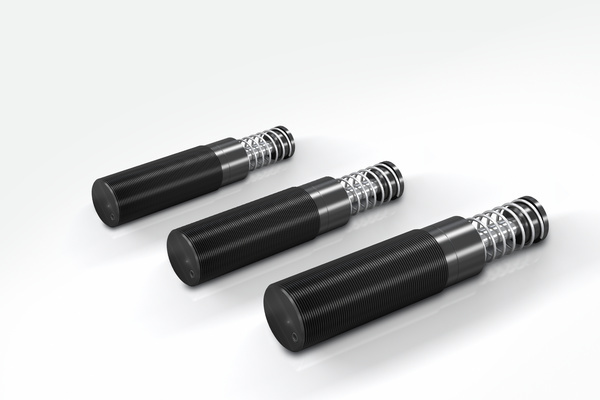 Further possibilities of use: Just like all MAGNUM types from the product family MC33 to MC64, the LT (low temperature) industrial shock absorbers are also made from one solid piece. 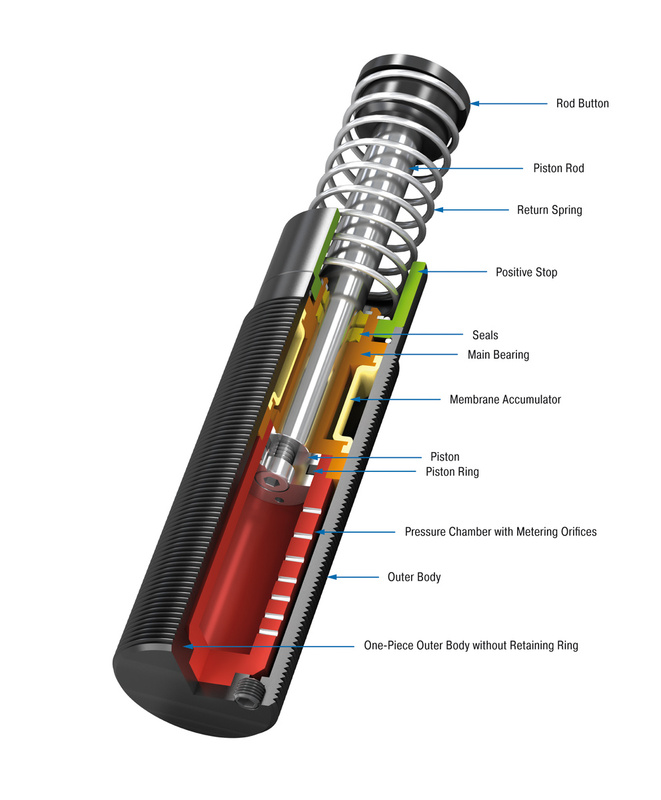 They are characterised by the use of special seals and fluids. This means that these versions can even be used at extreme temperatures of -50 °C to +66 °C in order to safely and reliable damp masses and take away 100 % kinetic energy. There is no reason why these ready-to-install machine elements should not be used, even under the most unfavourable conditions. Additional benefits are their robust, innovative sealing technology, high energy absorption in a compact design, fixed positive stop and a wide damping range. 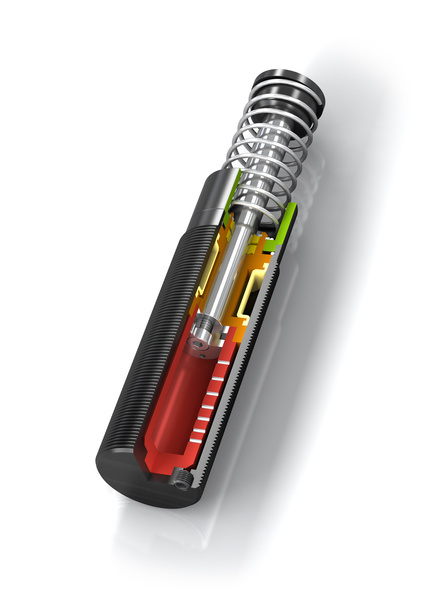 Designed for use in extreme temperature ranges, these self-compensating industrial shock absorbers are suitable almost anywhere in plant and mechanical engineering. A noise reduction of 3 dB to 7 dB is possible when using the special impact button (PP).